To some, short skirts may just be a thing of the past, but for us who reside in warmer climates, these are pretty much a wardrobe essential. 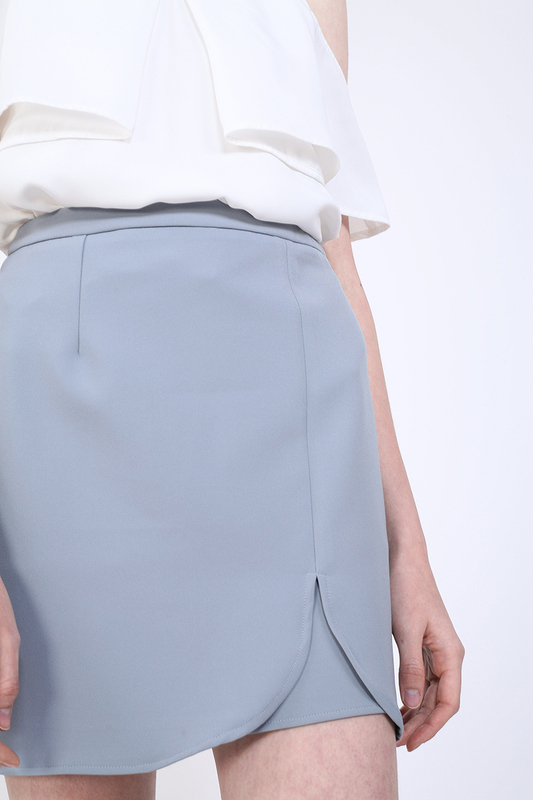 The Kasa Skirt is a layered midweight number that features a curved hem detail which very much resembles a tulip petal. Sitting high on your waist, this piece is finished off with a concealed back zip that ensures a perfect fit. Balance out the length with a thin long-sleeved top.